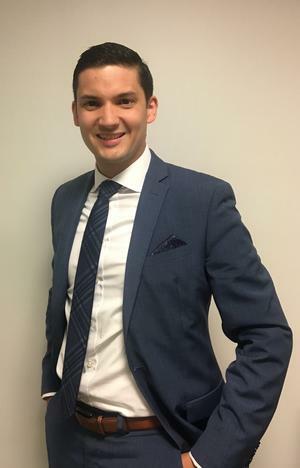 Frank D'Erasmo is a Financial Consultant at Lionheart Wealth Management LLC, an affiliate of AXA Advisors, LLC, with the New York Metro Branch. Frank was born and raised in New York, has lived in all 5 boroughs and Westchester County, and currently resides in Staten Island. As a graduate of the University at Buffalo, he received a Bachelor of Science in Business Administration, with a minor in Architecture. His time in Buffalo helped him develop an affinity for wings, and a unique ability to drive in the worst of snowy conditions. As the newest member of the Lionheart family, Frank holds the NASD Series 7 and 66 registrations. In his free time, Frank loves cooking and traveling with his wife, Alex. He lives an active life and is the captain of his league champion softball team, which is comprised of longtime friends. Frank is also an avid runner and will be running his 5th New York City Marathon in 2018.